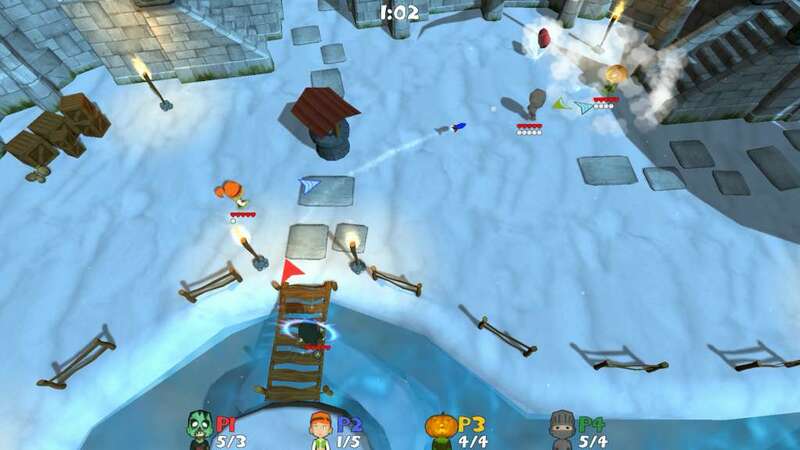 Super Snow Fight is a local-multiplayer-action-brawler game for up to four players. 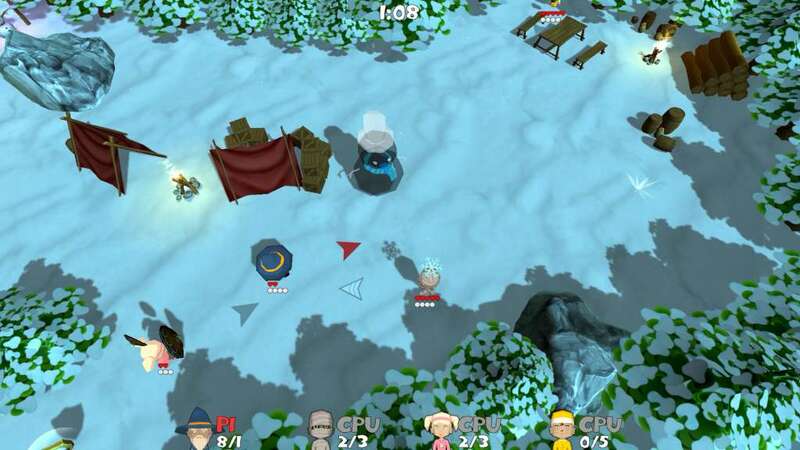 Fight snowball battles against or with your friends, foes or the merciless AI. 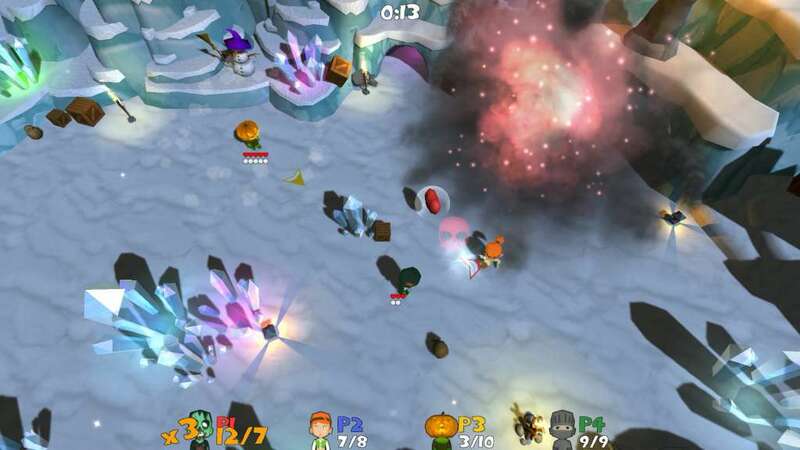 Throw snowballs in your opponents' faces or use any of the cruel power-ups lying around in the battlefield. 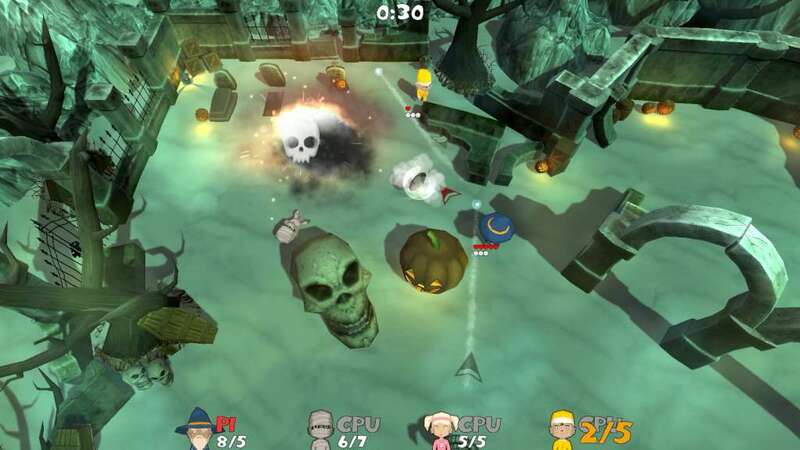 Shoot missiles, throw grenades, drop dynamite, defend yourself with shields or grab a heart to get your hitpoints back. There are many different ways to win the battle; it's up to you to find the best strategy. Four arenas await you. 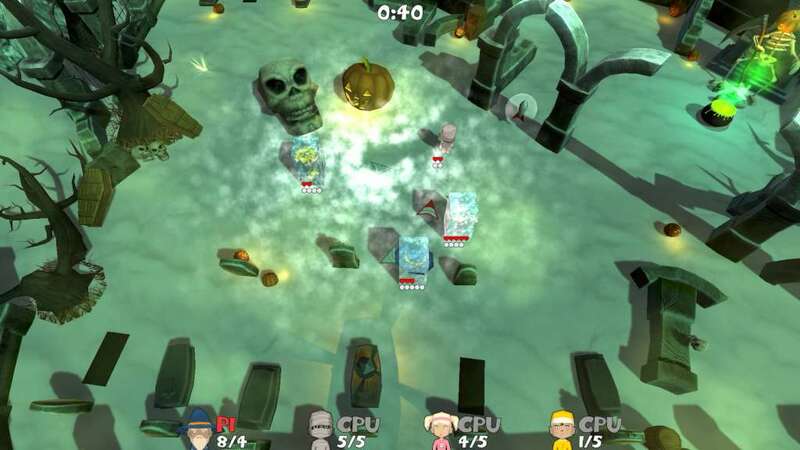 Fight in the park, on the graveyard, in a castle or in the mine. The more battles you win, the more fighters you can select. There are over 30 different fighters craving for snowy battlefields. 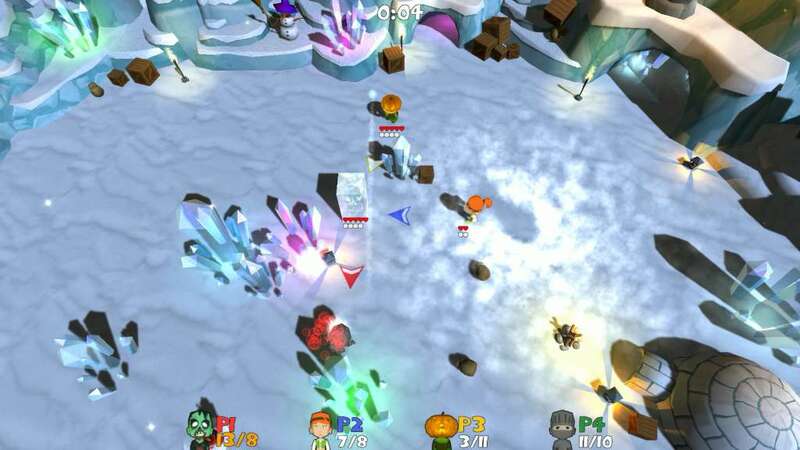 You can play Super Snow Fight with keyboard & mouse or a with a gamepad similar to the Xbox 360 controller. Usually it's more fun with the controller.